Here's a crap link for now, the announcement literally just happened. Miyamoto hit the stage during Apple's iPhone 7 event to announce Super Mario Run. A one button endless runner platformer with a NSMB graphical style, currently exclusive to iOS. Nintendo and apple obviously hoping everyone will ignore the unofficial versions/ actual NES and SNES roms that have been on android phones for years. Umm... fine? I'm guessing this didn't take much away from Nintendo's console development, will probably be a fun one-hand diversion for the tube, and will make Nintendo some dollar. Honestly there's probably no rational reason to object to this, and I kind of guessed it was coming; but as a Nintendo fanboy, it saddens me to see. At least it's not free-to-play. EDIT: Actually, you know what the biggest irritant is? Having to deal with f**kloads of whiny little boys on CVG saying how Nintendo would go third-party because of the Wii U, or the 3DS, or whatever. And now here we are. For some reason it wasn't as bad when it was the non-core franchises being whored out. Is this a DeNA mobile game like Miitomo or a Nintendo made mobile game? The impossible has happened. Cue the largest rise in Nintendo share prices of all time. Of all time. I saw the news on Twitster and thought it was a joke; two years ago, it would have been. The best part is that you can pay once and play, which is what I was hoping for ever since the first announcement of Nintendo making mobile games. There's a pang seeing them go for Mario so soon as, for me, there's no bigger franchise to hit up. That's one of my streamiest streams of consciousness for a bit. In short, 10/10 will play. It's happening! 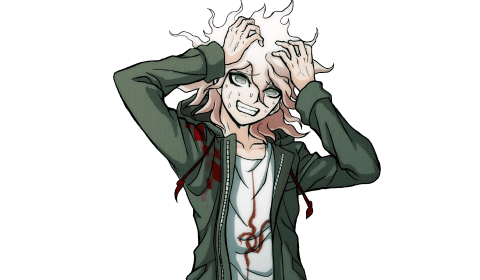 Despair, overwhelming despair! ...but then I went and saw some gameplay footage, and thought that it looked quality. I hope that it's got more of a tail than Miitomo did though. I won't be jumping on board until it comes to Android as I've absolutely no desire to buy an iPhone, but I was a little sad to see it taking the guise of a runner-style game. I'd have liked to have seen Nintendo bringing Mario to mobile in a more creative way, as the runner-style genre is pretty much ten-a-penny on mobile. Still, the lack of microtransactions (pay once then play, they said, right?) is a good thing. I'm in two minds about the runnericity of the game. On the one hand, it does enter a crowded marketplace with something that will probably be more slight than we're used to, but I wouldn't want a proper 2D Mario game on my phone. I'm too addicted to buttons; tap to play is about right. I thought this looked quite good & the most important thing is I can play it while eating a hamburger. I'll pick it up, but I'll be surprised if it's as good as the Rayman runners, I can't see Nintendo wanting to make it as tough as those. I think we should incorporate this into all Gintendo reviews going forward. Like a separate or secondary scoring system? Could Batman play it while holding a hamburger? To be fair, Batman could probably finish The Lost Levels with his feet while eating a steak because, y'know, he's Batman. The one thing about this didn't say they weren't going to do cheap mobile clone like games and they've gone & done one. I wrote a reply on this then the forum conked out, to summarise: looks good but hoping it'll turn out to be the Mario-lite that gets people wanting the real thing. An appetiser before the main... course? Moving swiftly past the pun (insert CM Punk here). Yes that's exactly what I want, it's what Nintendo said their plan was for mobile games and I believe that's exactly what they're trying to do. Perhaps make it tie in to the new Mario like the aforementioned LittleBig Planet did with it's runner game. Like Pokémon Go, it's definitely got people who aren't into games chatting about gaming - I saw someone I know for a fact is not into games in the slightest post on Twitter how excited they were to play Mario on their iPhone. I'm still waiting to see if this has the knock-on effect of getting folks to buy into the real deal main series games when they launch. I suppose seeing how Pokémon Sun and Moon performs will be a decent indicator, although I'm not sure if the Go hype train will still be hurtling down the tracks by then. It's nice to hear the best possible repsonse from what you saw there, Jay - a non-gamer looking forward to trying a Mario, although, over-analytical nerd that I am, I'm still a little unsure whether this will translate into longer-standing Mario fans, or possible NX purchasers. However, if one person does so, then great (the Paralympics are on at the moment; everything seems optimistic!). But it was nice to see (mostly) positive feedback from all y'alls also. Initially I thought "oh crap, it's the end times", but let's be honest, these runner games take about 5 minutes to make, even with Nintendo's polish - it's not going to be worked on instead of the big-o-games we're looking forward to on the NX. Everyone I know irl who jumped on the Pokemon Go bandwagon have said to me they have zero interest in the main games and are perfectly happy with Go. I think this and pokemon go will help nx sales. Get enough youngster Joeys on-board with the mobile games that by the time the nx rolls around they'll want money and daddy to buy one, provided its got the right games.